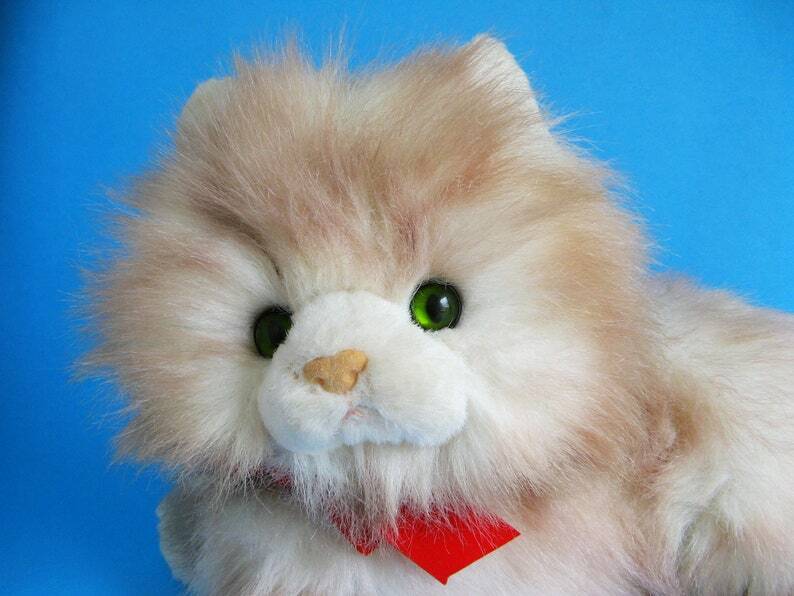 Super sweet vintage large Kitty Cat stuffed animal named Nikki. So beautifully soft & fluffy! Nikki is in very good, gently played with condition. White faux fur tipped a pinkish lavender on the body & tail and gray on the underside. Made by Russ Berrie in the 1980s. © RUSS BERRIE & CO., INC.